At a young age, many of us would say that all we wanted to do was go ride something. That could mean speeding along the road on our bikes or going on roller coasters at a theme park. As long as it made us go faster than ever before, we were happy. What made us happier, however, was being able to ride something out of the ordinary. Bikes were fun, but almost everyone had a bike. The best options were those that were as limitless as our imaginations. Today, there are many such options; One of them is the Mudhead 208R. As the newest member of our youth line, the Mudhead 208R makes every ride an adventure. With three different colors to choose from and an individual race style, it is impossible not to have fun! 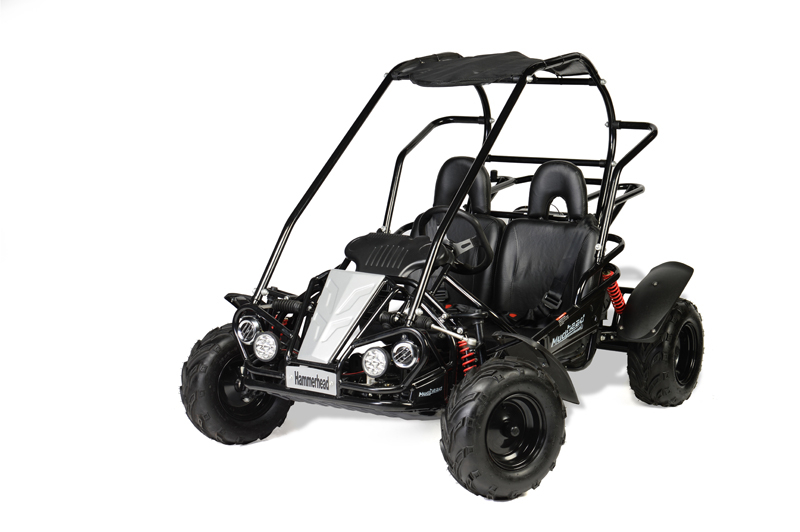 Offroading with the Mudhead 208R will be perfect for ages 10 and above. So what does the Mudhead 208R have to offer? For one, it is equipped with a Reverse option. This is new compared to the original Mudhead. In fact, this new Mudhead line comes in three different colors as well-read, green, and black. Some other amazing features that you will find are an additional backup pull start, all-weather starting, and a horn. With amazing features like this, your children will love it. The excitement they will feel when they are off-roading with their new Mudhead 208R is unparalleled! They will not want to get out of it. With summer in full swing, it is the perfect time to invest in the Mudhead 208R. We hope it becomes as much a part of your family as it has become part of ours. Contact us today if you are ready to invest in safe, affordable fun!